Last Saturday, we had some brutal heat in the Pacific Northwest… I am hoping that it is not what these two will remember about that day. When I get through all of the post production for their wedding I believe that they will see the family ranch full of all the special people who gathered to see them wed. Liz and Josh are tailor made for each other and the people who came all seemed to know that. This, their first dance, was done before dinner… a very classy departure from waiting until after the meal and the cake. I am personally glad that they danced early because the light, as you can tell, was absolute perfection. 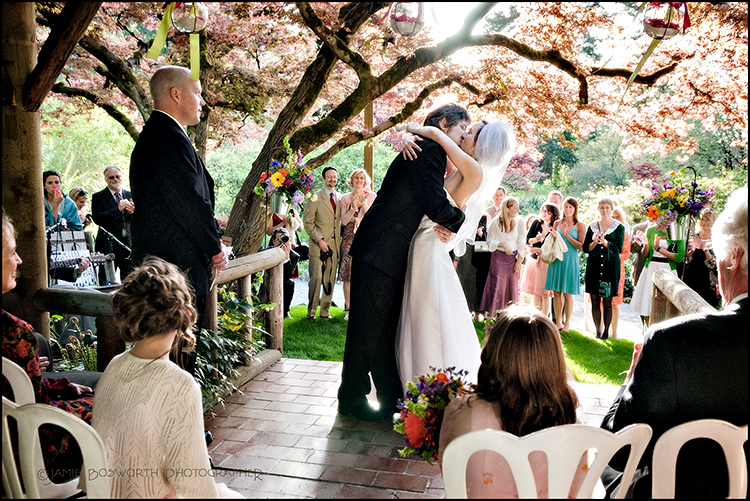 This entry was posted in Wedding Posts, Weekly Favorites and tagged family ranch wedding, first dance, Jamie Bosworth Portland Wedding Photographer, McKenzie Oaks Ranch, pacific northwest on August 6, 2012 by admin.